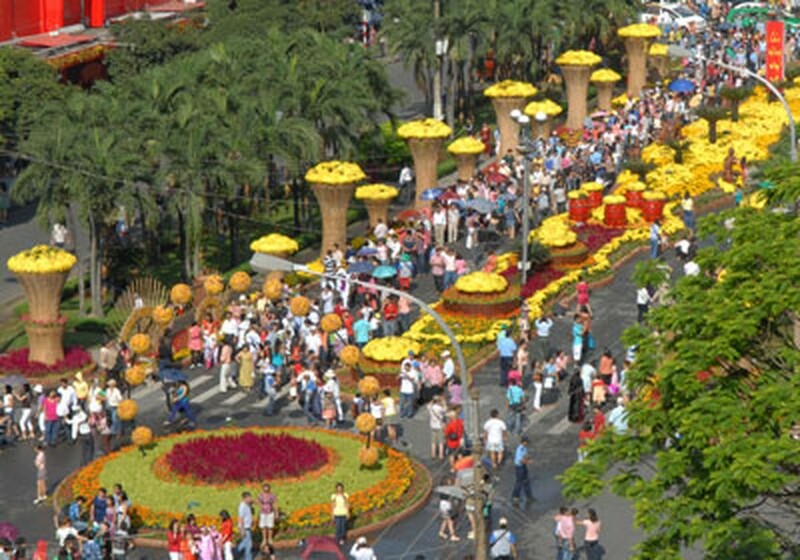 City authorities to Various departments under the Party Committee, People’s Committee and Labor Union in Ho Chi Minh City, met on January 22 to discuss ways to support workers celebrate the coming Tet Festival. The City Export Processing Zone and Industrial Park Authority (Hepza) has mobilized donations upto nearly VND9 billion (US$432,000) for Tet gifts and free bus tickets for workers. Nguyen Tan Dinh, deputy head of Hepza, said that despite the current economic difficulties, all businesses under Hepza will give Tet bonuses to workers equivalent to one month’s salary. Several companies have also prepared gifts to give workers. Hepza will also organize programs to celebrate the Tet Festival at industrial and export processing zones in the City. The City Women’s Union will give 520 Tet gifts worth VND400,000 each to disadvantaged workers in Binh Tan, Cu Chi, Hoc Mon and Binh Chanh Districts, who cannot afford to return to their hometowns to celebrate Tet. Tran Thanh Hai, permanent deputy chairman of the HCMC Labor Union, announced at a meeting that 500 families, who have lost their jobs, suffer fatal diseases or have young babies, can meet and welcome Tet together. The Union will also host a competition to make Tet cake, and music programs to serve workers in various districts and give them free bus tickets to go home. HCMC authorities will organize subsidized goods fairs to serve workers. Senior leaders from the City will visit and present gifts to workers during the Tet holidays. The Ho Chi Minh Communist Youth Union Committee is planning to provide nearly 4,000 gifts and 5,000 free bus tickets to poor students and young workers.